“Organize the world’s information and make it universally accessible and useful.” Since the beginning, our goal has been to develop services that significantly improve the lives of as many people as possible. Not just for some. For everyone. When you hear the phrase, Girl Powered, what comes to mind? How is it reflected in your team’s approach to robotics? Share how your team has taken initiative to create a more inclusive environment that attracts a diverse group of students. Share how each team member has tried various roles on the team (everything from designing, to building, programming, strategy, awards, etc.). Explain what you learned through this experience. How do you believe diversity of perspective changes your robot design, your team chemistry, and even your ability to succeed? Who is your STEM role model and why? Does this person inspire you to have a more inclusive team/program? How? We want compelling, engaging stories that give us insight into how you’ve taken the Girl Powered initiative and incorporated it into your experience on a VEX IQ Challenge team. The benefit of having a diverse team will become apparent through your individual stories. VEX Robotics Competition team requirement: Must be part of a registered VIQC team for the current season. Designs submitted in previous years’ Online Challenges are not eligible for submission this year. Only one entry per team is permitted. However, each team in a multi-team school or club program may submit one entry. For example, teams 123A and 123B could each submit an entry, but team 123A could not submit two entries. These are the minimum requirements for this challenge. The “Judging Information" section below will provide additional guidance on how your project will be judged. Failure to fulfill any of these requirements may result in your entry being disqualified from advancing to Finalist or Winner status. 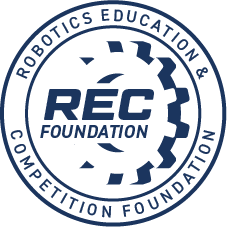 This challenge is about sharing your robotics experience as a team that embraces the Girl Powered initiative and what being Girl Powered means to you and your team. Your story must contain a clear beginning, middle and end. Think of this as a pictorial essay: Your submission should be created using a combination of imagery (photography, drawings, screen captures, etc.) and supporting text. Entries must be between 500-1500 words long. Entries over or under this word count requirement may be disqualified. Your final submission must be in PDF format (maximum file size: 20MB). You may create your submission using the platform of your choice; however, entries not in PDF format may be disqualified. If you create your entry using an online platform (examples include Canva, Wattpad, PowToon, Shutterfly, Photobox, etc. ), you must export it to PDF in order to meet this requirement. If you create your entry using programs like Microsoft Word or PowerPoint, there is an easy way to save in the correct format: just click “File” and then “Save As Adobe PDF.” Depending on the version you are using, this may also simply appear as an option you can select from the dropdown in the “Save As” function. You must upload your PDF entry directly to the Online Challenges site. You must upload your entry to the Online Challenges site during the submission process. Links to Google Drive, Dropbox, Sharepoint or any other site are not permitted and will result in disqualification. At the end of your submission there should be a credits section, which includes the name of the entrant or entrants, the registered team number, and the title of your submission. Students should be the sole creators of this submission. It is acceptable for adults to assist with downloading any necessary resources or submitting the story where students may need permission. Work submitted in previous or different Online Challenges may not be repurposed for this submission. Drag/Drop your PDF file into the Upload a File box. Judges will select at least ten finalists, and will take community-voting results into account in making the final selections. The finalists will be reviewed by an additional panel of pre-selected professionals, and those scores will be combined with the initial scores to determine the winners of this Online Challenge. How well the entry meets the requirements of the challenge. How well the submission used a combination of imagery and supporting text. How engaging, easy-to-read and well designed was the entry? The quality of the prose, level of writing, and usage of grammar. Did the entry meet the 500-1500 word count parameters?